I was delighted last night to be invited to a Private View of Jack Durling’s latest work at the Dynamite Gallery in Brighton. Jack is one of our Designing for the Future alumni and I have been following his work for a number of years. This was his first exhibition in a commercial gallery where he is supporting artist Stephen Ford. Jack was showing pieces from his “Bleeding for Gold” series. Poaching is an ever growing crisis in the modern day world. Severely corrupt, highly prized and sought after material of animal origin is trafficked on the black market for traditional Chinese medicine and craft practises. Dating back many centuries, animals such as Rhino and Elephants have been and still are brutally maimed and mutilated just for the ivory and horn which they carry. 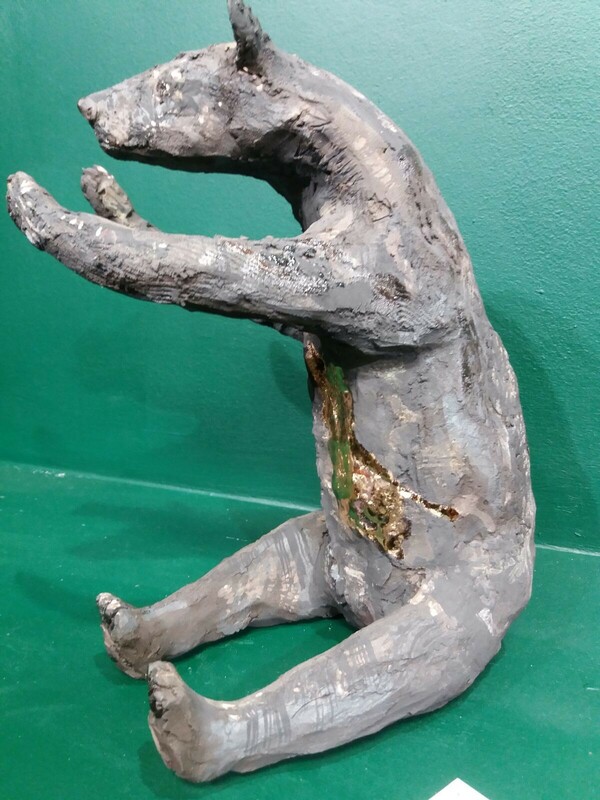 Bear species native to Asia such as Sloth Bears are cruelly kept alive and milked through open wounds for their bile found in their stomachs. 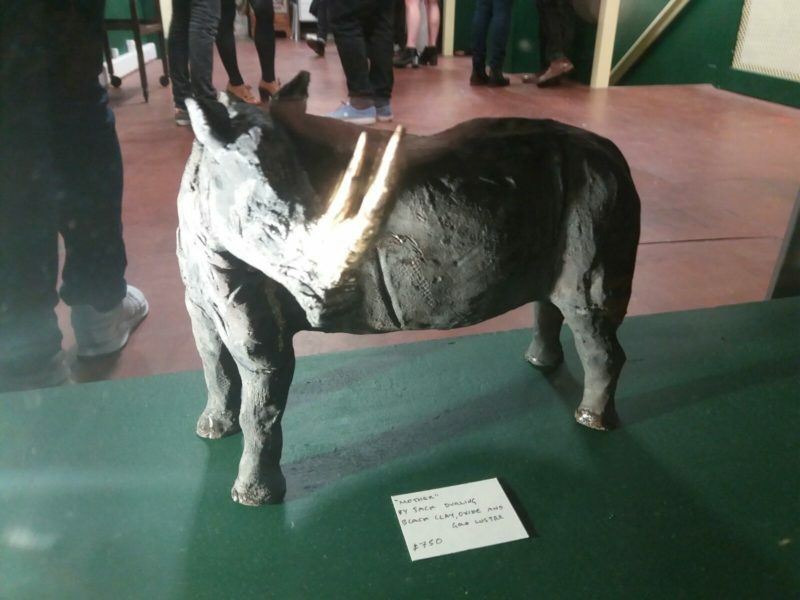 Jack uses the medium of black clay, oxides, glaze and lustres, using gold to highlight those parts of the animals most prized by the poachers such as the Rhino’s horn. This is a really beautiful and thoughtful body of work from this talented artist and it is so exciting to see him exhibiting in Brighton. The exhibition at the Dynamite Gallery in Trafalgar Street is open until the end of October.